Brand : PACIFIC PLAY TENTS, INC.
Give children remarkable cognitive challenges and provides outstanding physical activity combined with cardiovascular benefits. 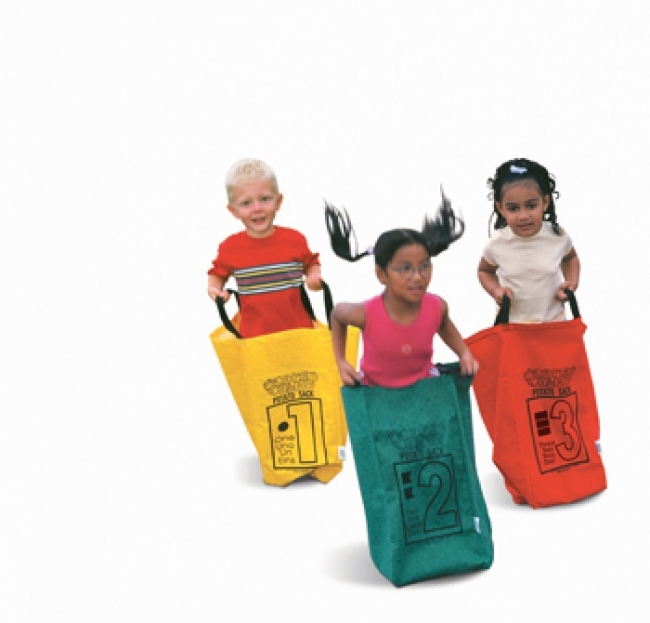 These jumping sacks are Heavy Duty Cotton Canvas duct providing amazing strength and added durability for long lasting use. Kangaroo front pocket for games and added play value. 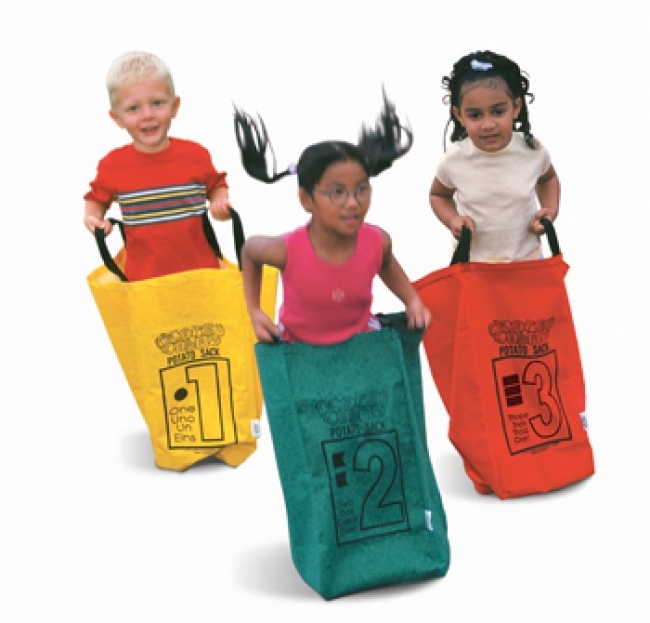 Set of four sacks with four different colored pockets creates diversity with games. Stimulates your child's imagination while keeping them busy and active. Size: 26" Tall x 24" Diameter with 11"x11.5" pocket.